Hi all!! 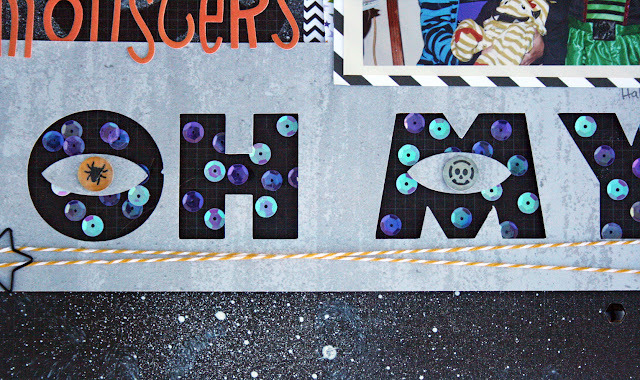 I'm up on the Epiphany Crafts blog today sharing a fun Halloween layout. I had found these super cute tiny punches at Michaels, and they worked perfect with my EC Round 14 tool and epoxies to make some fun little embellishments for my layout. I used the fun Monster's Inc. font on this and think they worked out fabulous as the center of my "eyes"! Don't forget, you still have a little more time to pick up your December Days kit from Whimsical Twist at 15% off!! These kits are all fabulous, so make sure you head over and check them out!!! Thanks for hopping by today, and take time to create something you love! !